The Government is reviewing flexible working policy over the next year. One focus is making it a day one right for people to request flexible working. A right to request is one thing, though, but, under the legislation there are eight broad reasons why managers can turn down a request. Of course, there may be many good reasons why flexible working is not granted, but the vagueness of the reasons outlined in the legislation allows those who believe flexible working is too difficult to manage or who are not confident about how to make it work to side step it. Having flexible working policies is not enough to create a workplace where flexible working is accepted and normalised at all levels. This is why so many experts talk about the need for a flexible working culture where many different ways of working – from remote working, flexi hours and reduced hours/job shares to compressed hours, annualised hours and combinations of all of these. But how do you get to a flexible culture? From our research employers are focusing on several key areas, including getting backing from the top, role modelling flexible working patterns at all levels, advertising flexible jobs and providing managers with the tools they need to manage flexible teams. This last is possibly the most important one, given that line managers are the ones who agree flexible work patterns, whether formal or informal. We get hundreds of emails from women who have had flexible working turned down or rescinded due to line manager decisions, even when the flexibility sought would have little impact on the business and could mean the difference between an employee staying and walking. Line manager support is crucial to making flexible working work because it is about collaboration – between the flexi worker and their manager and between the members of the flexi worker’s team. From the very start, when flexible work is negotiated, a collaborative approach is necessary. 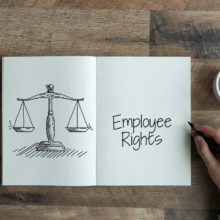 Flexible working legislation calls for workers to make the business case for their request, that is, to think about how it will affect their workplace and to suggest how any negative impact might be mitigated. Similarly, managers should be open to discussing different scenarios. Managers also have overall responsibility for their team so they need to ensure that whatever they agree is workable and does not place undue onus on other members of the team. They also need to communicate more widely why flexibility matters. It is important that employers acknowledge that managing flexible teams can present challenges and that they support managers to do so. Several of the big corporates offer flexible or agile working toolkits; some have reshaped all their processes from recruitment to estate management to ensure it is agile. That means questioning received ways of doing things. That can be frightening for people who are used to the traditional ways of managing staff so training for a different way of managing – by outcomes rather than presenteeism – is vital. It’s not about bolting on flexible working to ‘normal’ ways of managing staff. It requires a different approach and thinking through how things are run. Key issues to think about include how to replace those informal forms of communication in the office if people are working remotely or at different times, how to get the most out of conference calls, when to use face to face meetings effectively, how to manage job shares effectively and how to ensure that duties are shared evenly and customer needs are met at all times. There is no quick fix to this. It requires conversations and knowing how to get the most out of the individuals in your team, which means people skills. It also requires trust – managers need to be able to trust their staff to perform and trust themselves to be able to manage by outcome rather than bums on seats. In Smart Flexibility, Andy Lake, editor of Flexibility.co.uk, points out that this is not just about treating flexible working as an optional extra. It is about adapting to the new context of work. He writes: “Instead we should be thinking of the type of management as a whole that we will need in the future. So do we want managers to have better people skills because they are working with remote workers – or do we just want managers to have excellent people skills? Do we want our managers to be better able to deal with flexible and fluid situations because they are managing an ‘anywhere team’, or because the world as a whole will be throwing up more flexible and fluid situations that they will need to deal with? The way the world is changing, with more older workers, greater aspirations for work-life balance and for more choice and autonomy, more pervasive technology, more freelancers, and more connections in the globalised economy – all this means that the old methods of management will increasingly be the exception.